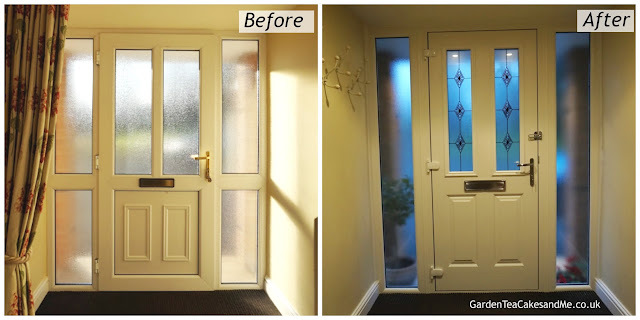 Looking to replace an old upvc front door with a new composite door? That was the home improvement task that has been on my to do list from December. 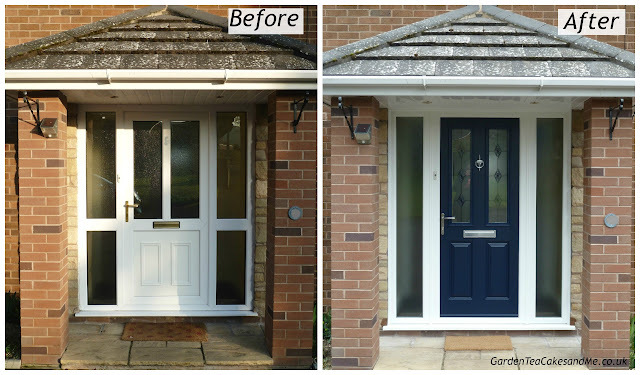 Now just a few months later I now have a shiny new composite door. Which both my sister and I are delighted with it really has enhanced the look of the front of the house. In total it took around 4 to 5 hours to fit the door and glass panels. 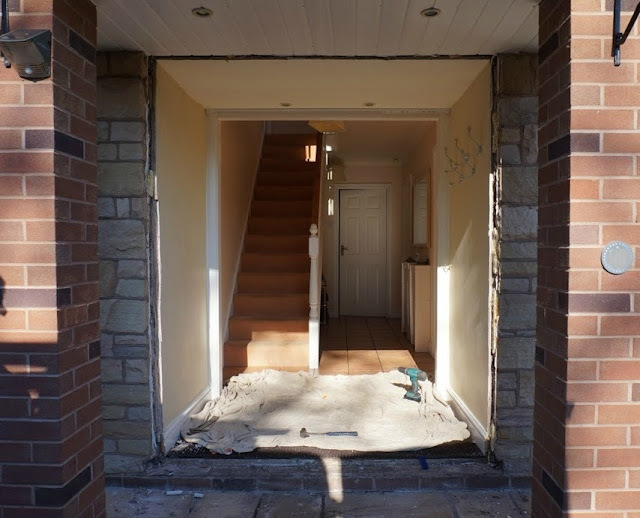 Looking to change a front door is quite a simple task. You just need to understand what questions to ask the business that will be fitting your door. You will also need to make some key decisions about what you want your door to be like - in both look and security. To help you through the process I have put together some tips which you may find helpful. What style door will suit your house? Do you live in a period house or modern house or unique home. I found looking at doors in your neighbourhood helpful. When you find yourself walking or driving along a street, it will not be long before you find yourself obsessed with looking at front doors. You will soon realise just how much choice there is available, and quickly appreciate what you like and dislike. Some things that may be important to you are the look, style, colour, security features. Is the door made in the UK? Do you want to support a local business or a large nationwide business. Selecting the right company to fit your door? Ask friends and family if they have recently had a new door or windows. Who would they recommend? More importantly who would they avoid and why? Look on line for your local councils Trader Register, a list of local companies verified by Trading Standards. Be cautious when it comes to review website, yes they are a great source of information. But if someone has had a bad experience it is important to establish how the business rectified the problem, was it dealt with professionally and efficiently and to the complainants satisfaction. Visit 3-4 businesses and asking the right questions. Ask about the manufacturing of the doors, do they understand their product. What are the payment terms, you should not be paying for a door and fitting in advance. Final payment should be made once you are happy with the installation of the door. Do they fit the doors themselves, or use self employed fitters. I have to say our door fitter did a fantastic job, so please with how tidy he worked and the standard of fitting. How long is the door and work guaranteed for? Look and try the doors in the show room, check the colour swatches at the showroom, the brochure can be misleading. Ask for customer recommendations, a well respected business will usually have thank you letters available from previous customer for you to read. Or even a property for you to visit, particularly if the business does not have a showroom. Ask for a brochure, take it home and be sure to read it. 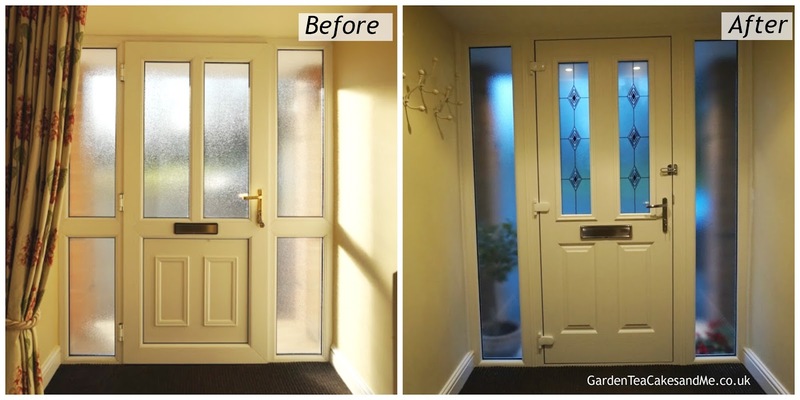 Did you know there are 2 types of composite doors. One that has a foam filled core and the other wood. The foam filled doors are usually cheaper, so if you are comparing quotes from businesses be sure to establish they are for the same type of composite door. My front door has the sun on it for large period of the day, the heat from the sun makes the foam expand, thus making the door expand. I did not want any movement in the door over the years it will be in use, so I choose a wood filled composite door. Think about the colour of the door fittings:- the letterbox, door knocker, handle etc. What best suits your home, you will have a choice of chrome, brass look, graphite, maybe event white. Do consider the inside of the door, will brass style fitting clash with a chrome or silver decorations in your hall way. Think about the position of the letterbox, a letterbox at the bottom of a door is not good for the postman. Some door styles will dictate the position of the letterbox. Will you want any glass side panels, do you want decorative glass. Additional security fittings of a peep hole or security door guard like the one I chose are also available. You can also get door that automatically lock (similar to Yale lock) when the door shuts. See there is much more to buying a new composite door than just choosing a colour! If you find yourself in a dilemma of not being able to settle on choosing between 2 designs or colours, take a photo of the front of your house. Then on find an image of the door you want from a website, save the image and paste it over the door on your photo. This will really help you to visualise how it will look. For those of you in the Shropshire/Midlands area I used a local firm Trotfield Windows & Doors in Ironbridge. The door is the Etna design manufactured by Endurance Doors, Kevin at Trotfield did a great job answering the many questions my sister and I badgered him with! This is not a sponsored, just me sharing my experience. Great tips, thank you for sharing. Your new door looks lovely. Great choice. The new door looks great! I've been looking at getting a composite door for a while and didn't know that there were differences between them so thank you for talking about the difference between foam filled and wooden filled composite doors, it was definitely helpful!